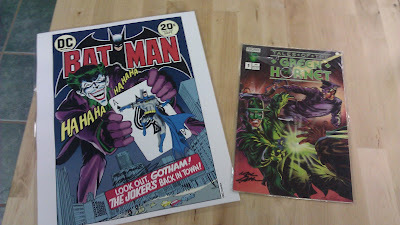 Cultural Compulsive Disorder: Remember The Time Comic Legend Neal Adams Made My Comic Con? Remember The Time Comic Legend Neal Adams Made My Comic Con? Neal Adams has been a comic book legend since before I ever picked up my first issue of a comic. Ever since hsi first big time cover of The Brave & the Bold #75 Adams has been slaying some of the best characters comics have with his inspired designs. From way back in the early 1970s Adams has been the artist that most people associate with Batman, but he has done so much more work that it is laughable to only consider him a Batman artist. Deadman, X-Men, Superman, Green Arrow... Neal has skilled them all. As a true fan of 70s and 80s comics (I was raised on 'em), I always loved Adams's art. So when I got a chance to meet the man personally at this years NY comic Con, I damn near fainted. 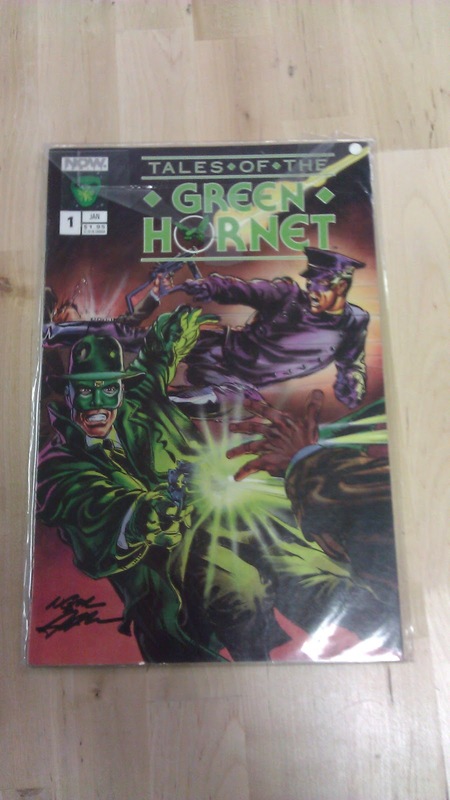 Just the prospect of shaking hands with the man responsible for some of my favorite comic artwork ever blew my mind... but the fact that he was going to sign a few items of mine to boot? Yup, that was almost to much to take in. When I walked over to the table, I was escorted by my fiance's uncle Jimmy. He is a NYPD detective who happens to be a huge comic fan as well. He also happens to know Mr. Adams personally. So when we walked over and Adams wife Marilyn came running over to greet us. She warmly welcomed us into the booth and Jimmy began talking to Neal. I had a copy of my Green Hornet #1 to be signed by Adams, but I was taken by his prints and just knew that I needed to get my hands on some Adams Batman work. 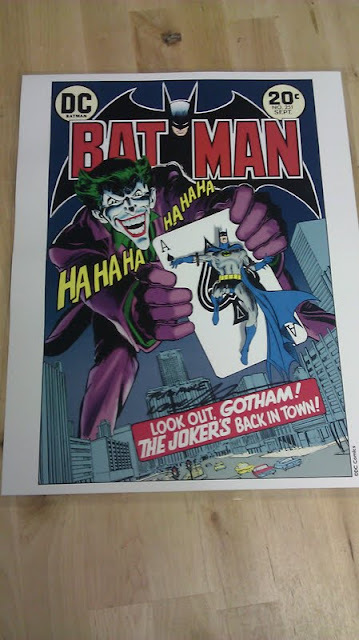 So I picked up a cool print of his that featured The Joker prominently. So great! I picked it up and went to pay Marilyn, but she refused my money. She said that Jimmy was like family to them and that I wouldn't be paying for anything. Wow... instead of just getting an autograph I was getting a free 11 x 14 print and a chance to chat with one of my heroes! This worked out much better than I could have expected. The man, the myth, the legend... and Neal Adams! Also, as a slight aside, Neal Adams son Josh had a small table set up on the side. 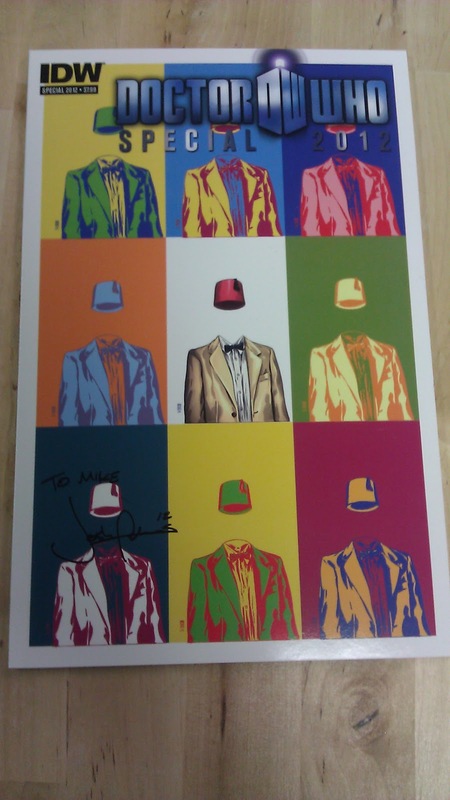 Josh draws the IDW Dr. Who comic and his art is fantastic. Not like that was to be unexpected... he is Neal Adams son after all. Since Marilyn wouldn't let me spend any money on Neal's stuff, I decided to monetarily take care of Josh instead. I purchased a couple of the Dr. Who books that Josh had available at his table and he was kind enough to personalize them for me. What a good family of artists doing something they love. All in all, one of the best memories of my comic book collecting life.